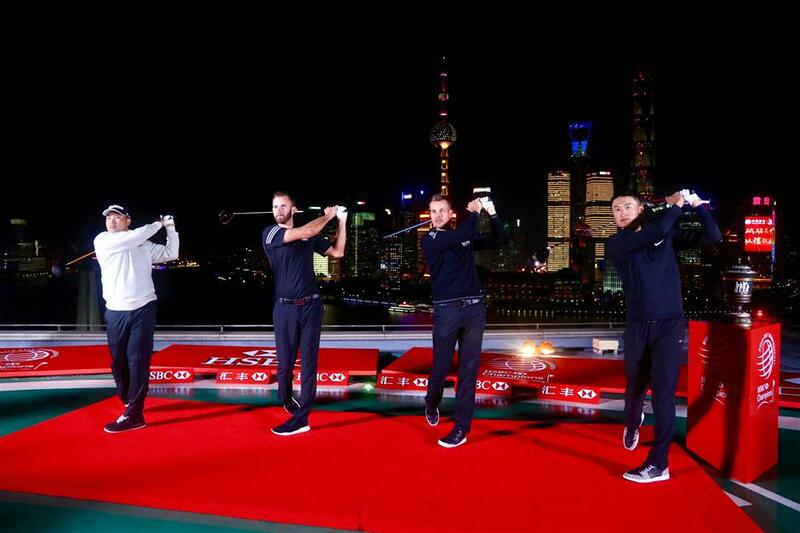 Li Haotong, Dustin Johnson, Hideki Matsuyama and Henrik Stenson pose for photos to celebrate the launch of WGC-HSBC Champions in Shanghai on October 24. 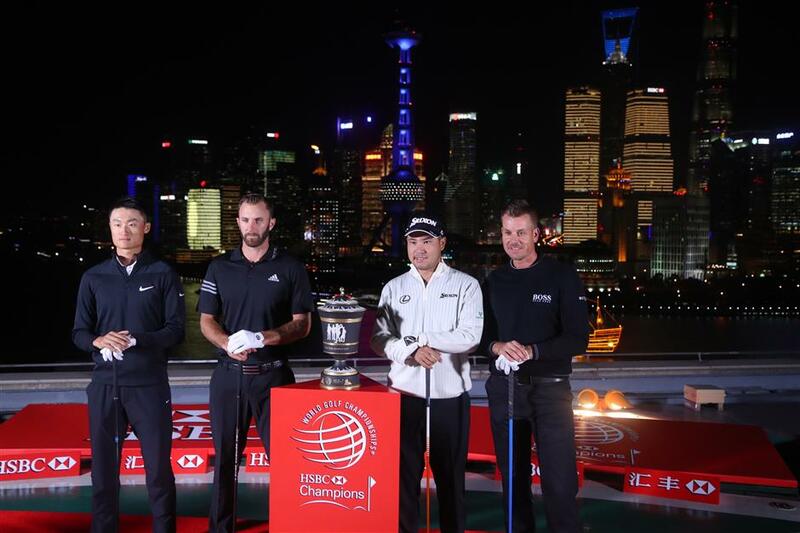 (from left) Li Haotong, Dustin Johnson, Hideki Matsuyama and Henrik Stenson pose for photos to celebrate the launch of this year’s WGC-HSBC Champions at the Peninsula Hotel at the Bund in Shanghai on October 24. The golf tournament will be played from October 26 to 29 at Shanghai Gulf Club in Sheshan. (from left) Hideki Matsuyama, Dustin Johnson, Henrik Stenson and Li Haotong tee off for this year's WGC-HSBC Champions at the Peninsula Hotel at the Bund in Shanghai on October 24. The golf tournament will be played from October 26 to 29 at Shanghai Gulf Club in Sheshan.